Mr. & Mrs. Conti, long-time loyal visitors of Aruba and the Aruba Marriott Resort, had a small ceremony in the company of friends and family. 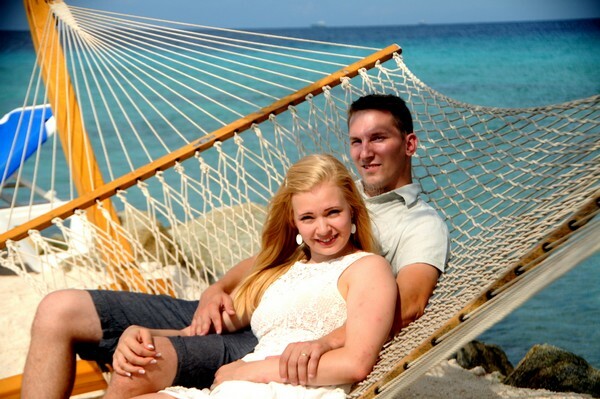 The honeymooners spent their romantic getaway at the Aruba Renaissance Resort and had only great things to say about their favorite Caribbean destination. 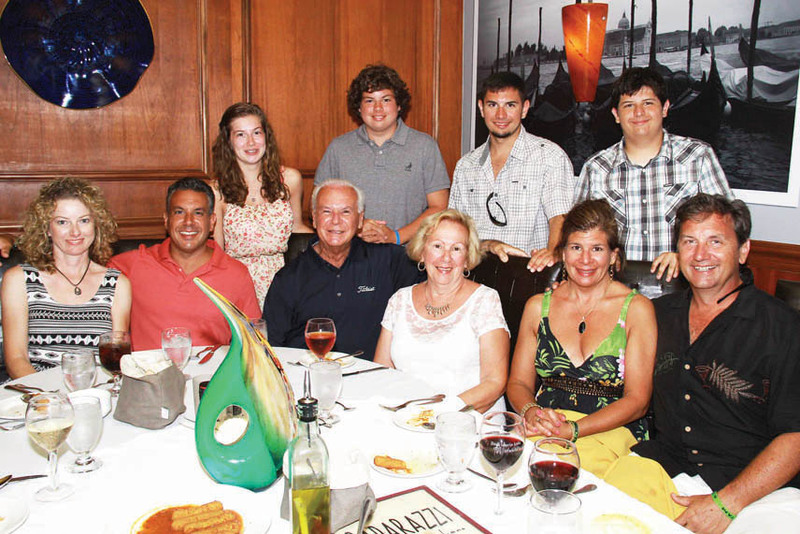 The Olshan couple, loyal guests of Aruba for over a decade, celebrated this momentous occasion together with their children and grandchildren, a trip they will surely never forget. 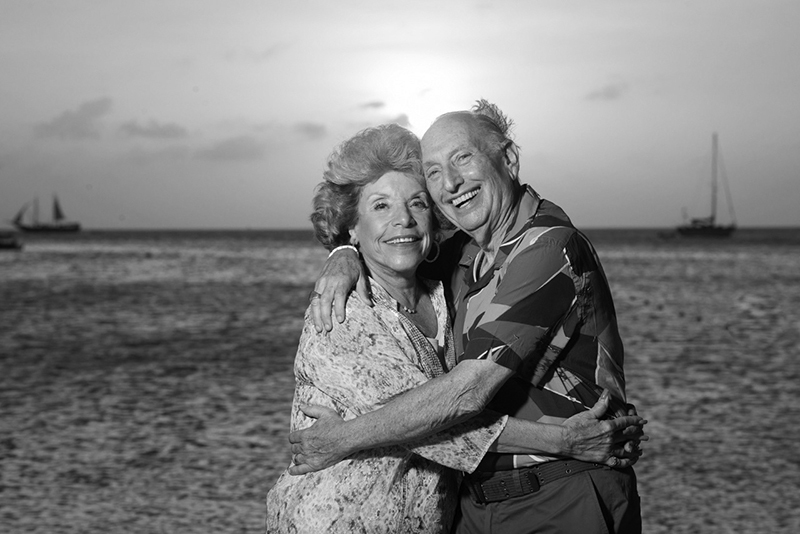 For Sarah Wigman, the granddaughter of a Dutchman who lived and worked many years in Aruba, it was a dream to marry her beloved on the island her grandfather once called home. 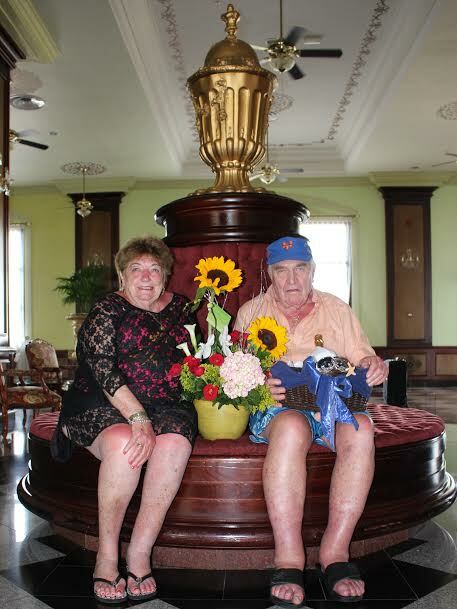 Mr. and Mrs. Frank have visited Aruba to spend their vacation with the children and each other for over 30 times. This visit was a very special visit as the couple celebrated their 60th wedding anniversary together with their 3 daughters on the One Happy Island. 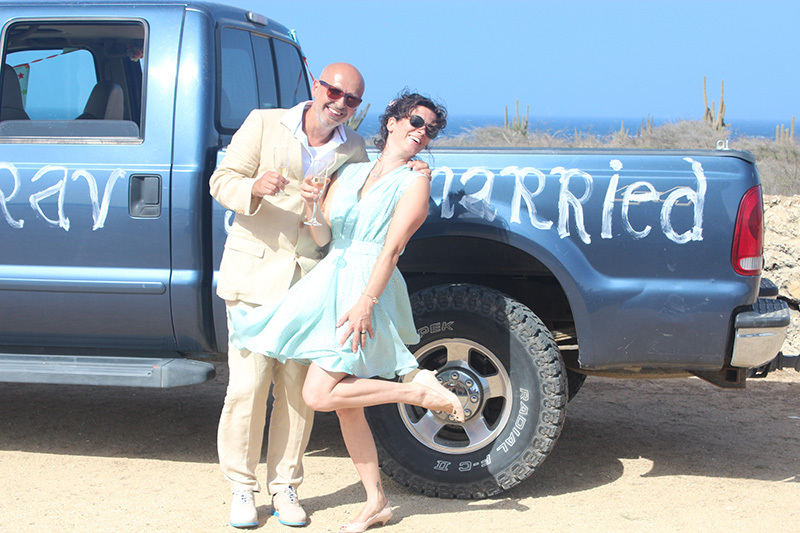 The couple got married at Aruba Marriott Resort & Stellaris last year and did not hesitate in choosing where to celebrate their first anniversary. Like a second honeymoon the lovebirds enjoyed an exclusive and adults only experience for their first wedding celebration. One week on Aruba with family is the best golden anniversary gift ever! John and Geri Madeira, formerly of Massachusetts, were faced with a dilemma: after so many years...what could they give each other for their 50th wedding anniversary that would be a change of pace from so many years before? A week on Aruba with family! 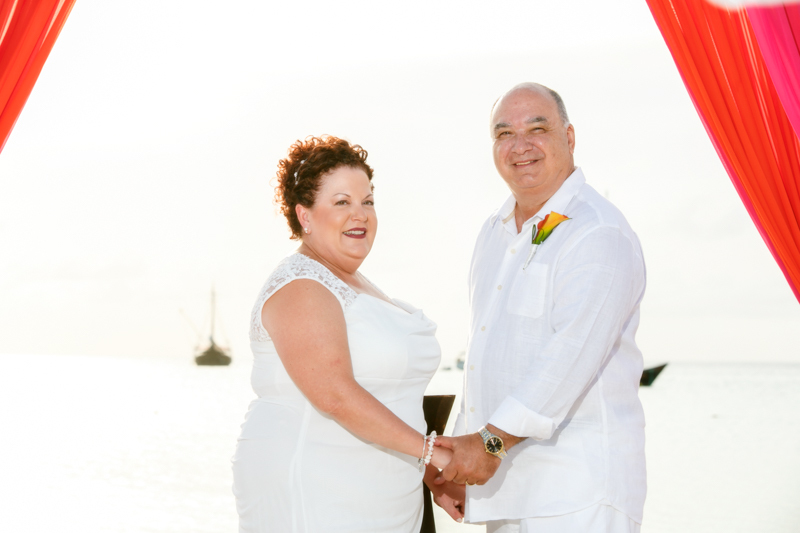 One of the reasons this loving couple has been so dedicated to Aruba is because of the "extended Aruban family" that the staff of their favorite resort, the Divi-Tamarijn Mega All-Inclusive, has become since their very first visit. 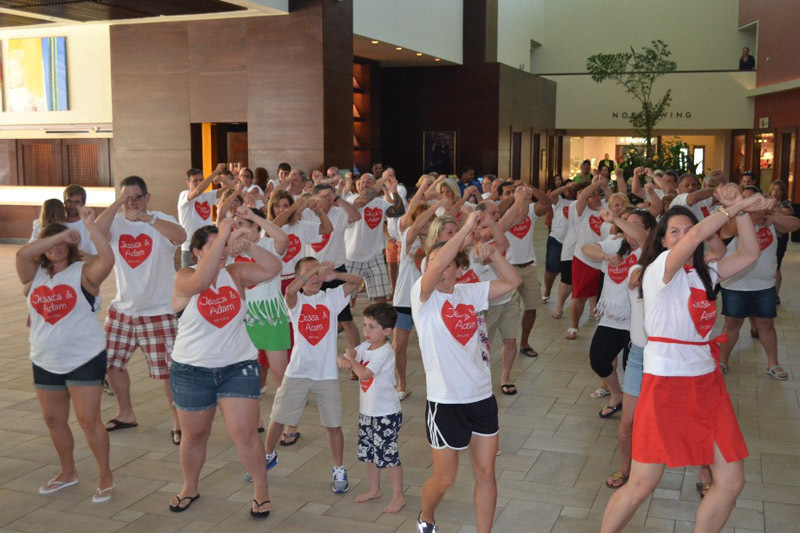 Last Wednesday Marriott lobby was crowded with family and friends of the couple wearing a big red heart on their t-shirts saying “Jessica and Adam, July 4th 2013”. The couple had a surprise waiting for their arrival on the beats of “Jumping in the line (Shake Shake Señora)”. You can view the flash mob video here. 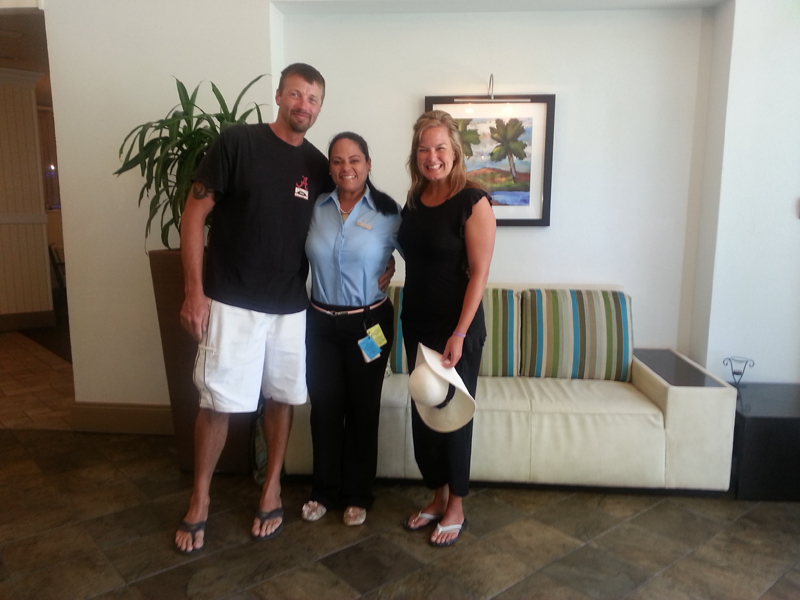 Engaged couple Andrea Maldonado and Nelson Garcia visited the Aruba Marriott to plan their upcoming Wedding. 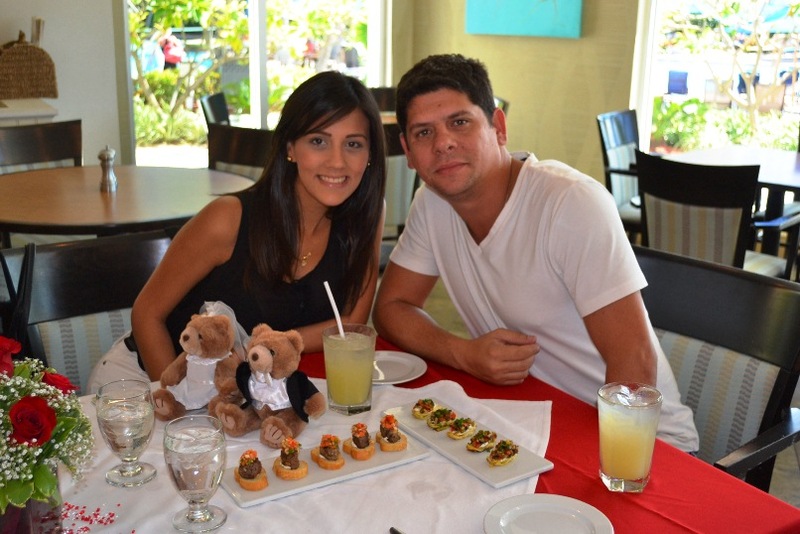 In addition to receiving information on wedding packages available at the resort the couple was surprised as arrangements were made for them to taste over ten exquisite and delectable hors d’oeuvres at La Vista Restaurant. The renowned Italian Restaurant is casual yet elegant, and is perfect for family style meals. Guest can choose dining indoors or outdoors on the open- air terrace under the stars. After proposing on their last romantic dinner on Aruba, the newly engaged couple did not waste a moment and pulled off their nuptials before leaving the island. 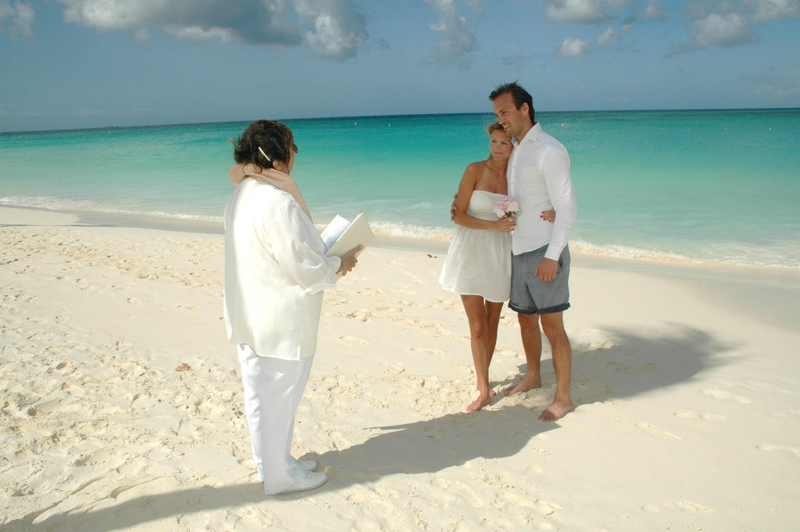 A heartfelt ceremony took place on Eagle Beach just hours before checking out of the resort and checking in to their future.